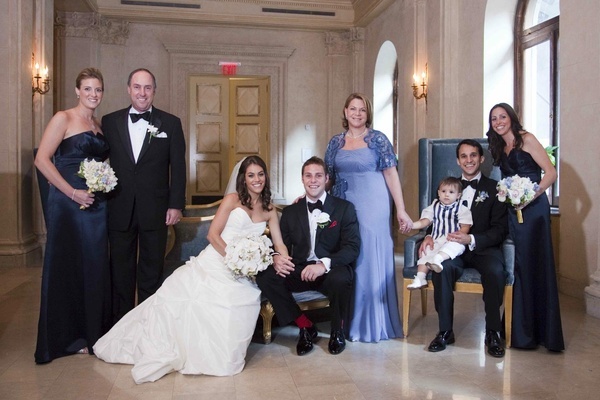 Robyn Satnick and Andrew Frank were confident that their wedding planning would come easily on account of the tremendous support their combined families offered. 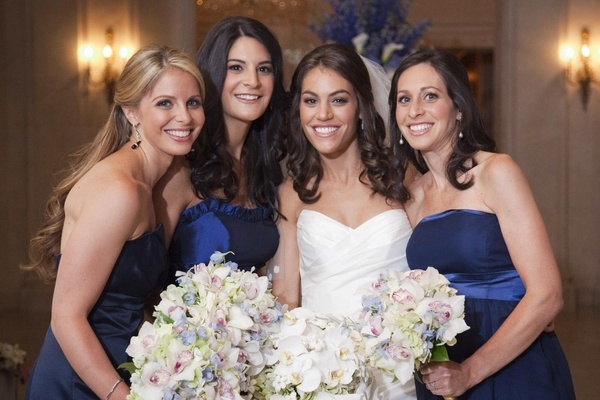 “My parents had already helped plan the weddings of my older sister and brother, so they really led the way,” shares the bride. 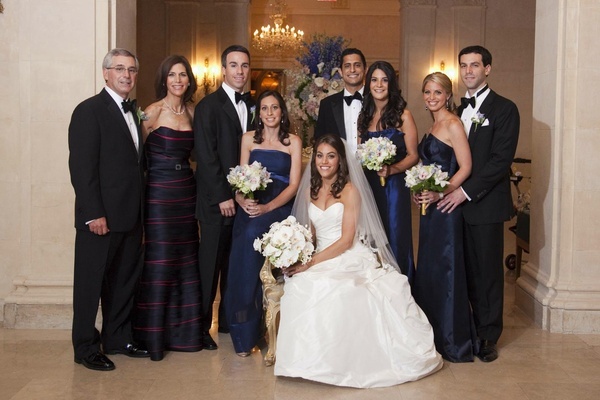 Robyn and Andrew’s respective siblings suggested helpful advice and emphasized the importance of enjoying the entire process, urging them not to become stressed by insignificant matters. 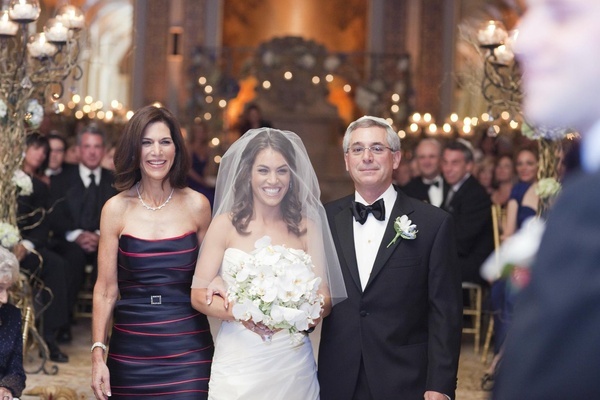 The groom’s parents hosted a wonderful rehearsal dinner to start out the celebratory weekend, and a delightful brunch the morning after the wedding. 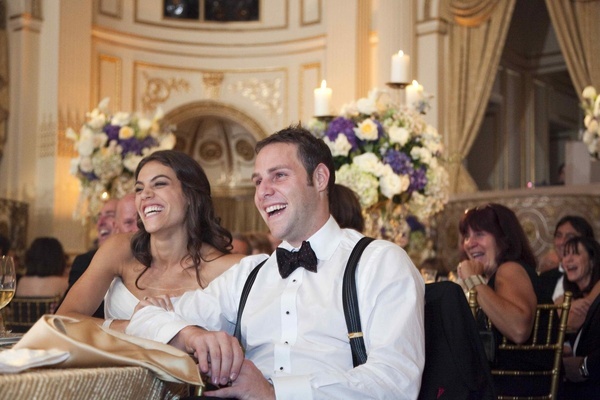 “It brought a nice close to the weekend – it was very warm and a lot of fun!” remembers Robyn. 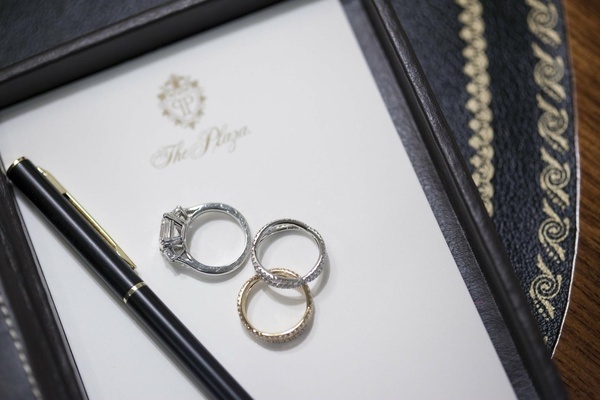 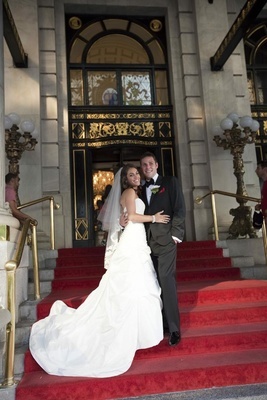 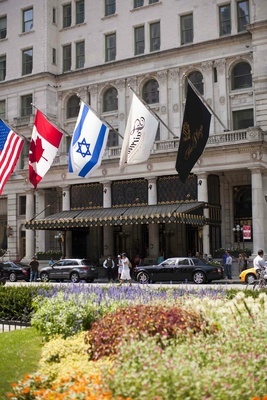 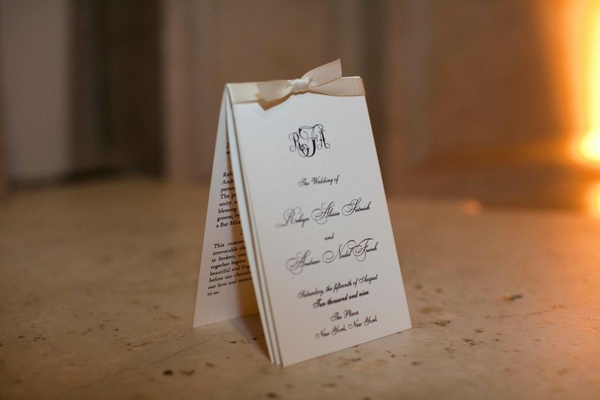 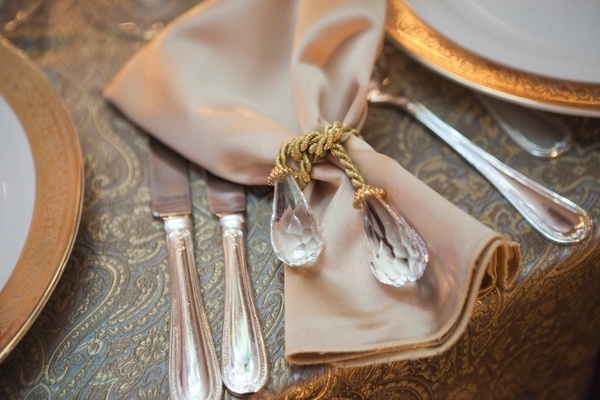 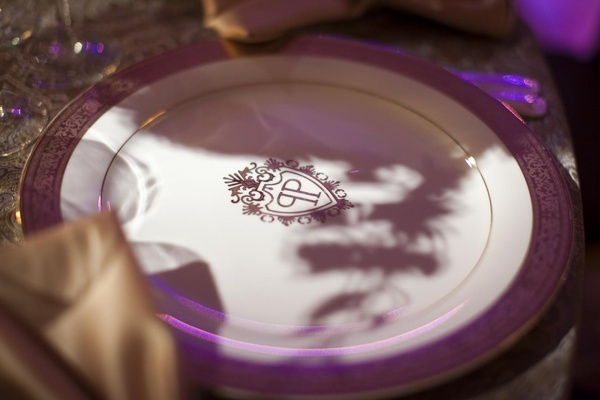 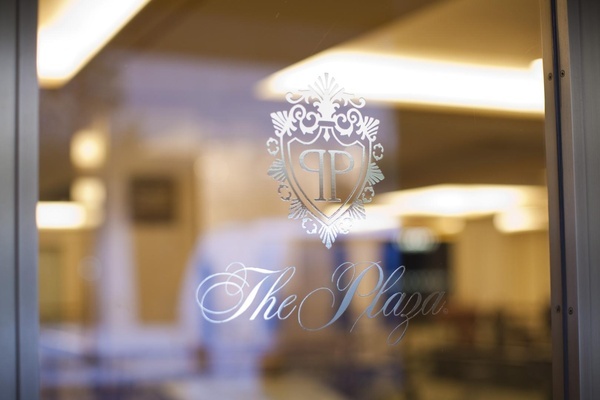 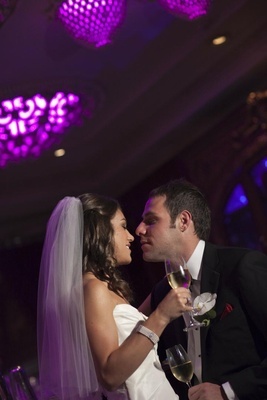 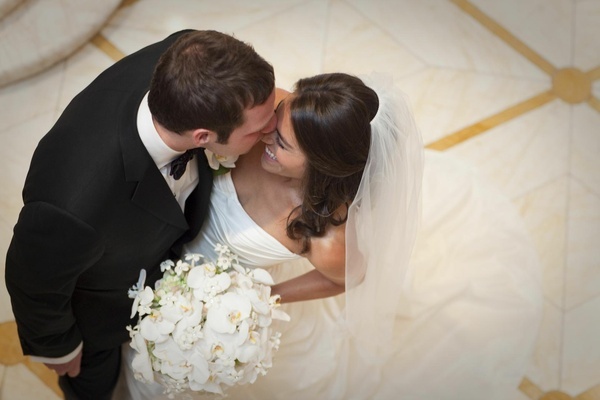 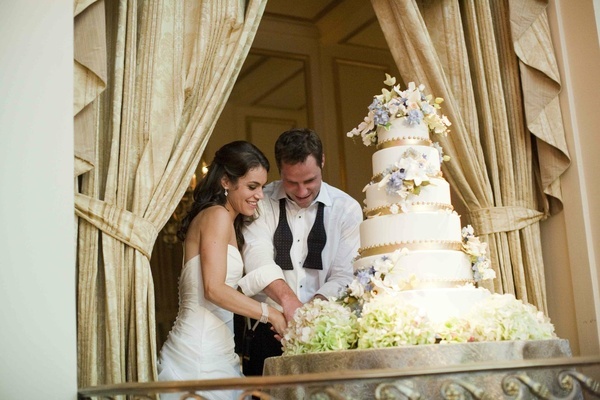 Chosen by the couple for its ability to accommodate their 310 guests while providing a welcoming and intimate atmosphere, The Plaza Hotel served as the venue for both the ceremony and reception. 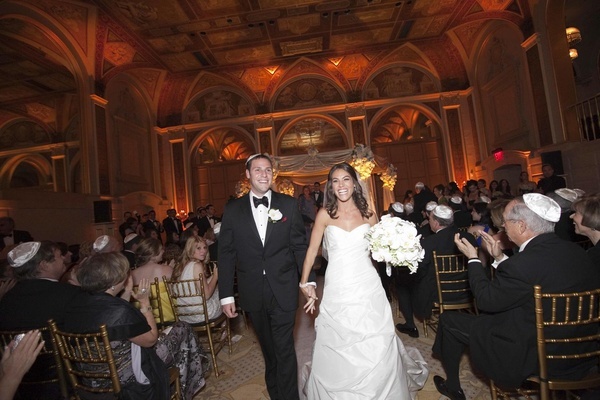 “We knew we wanted to stay in New York City, as both of our families are from the Tri-State area and many of our friends reside there as well,” explains Robyn. 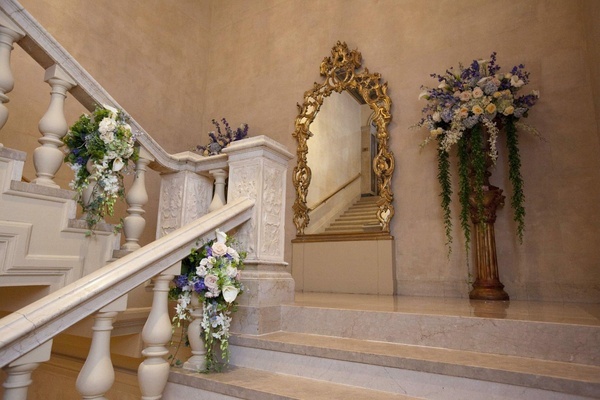 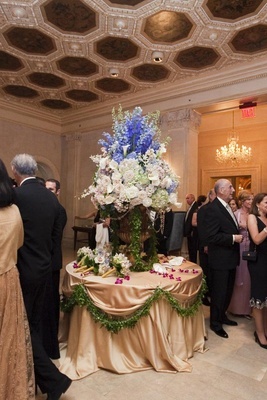 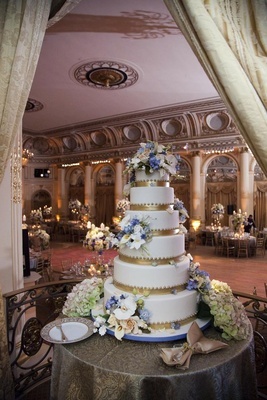 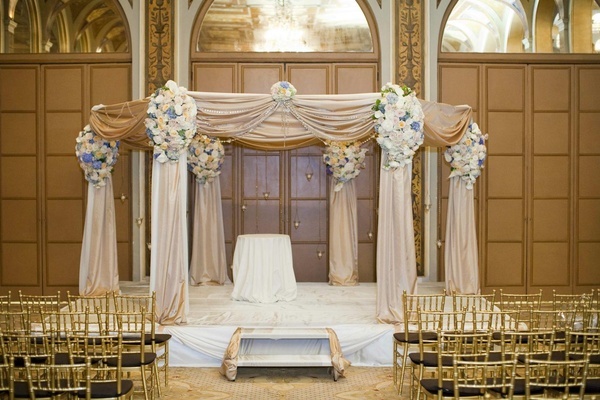 The opulence of the landmark venue called for an elegant color scheme, which influenced Robyn to select a classically beautiful palette of blue, crème, and pale gold. 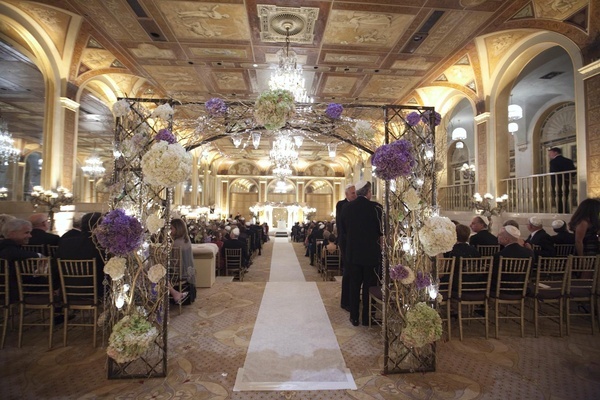 The ceremony took place in the Terrace Room of The Plaza where an oversized chandelier hung from a stunning gilded ceiling. 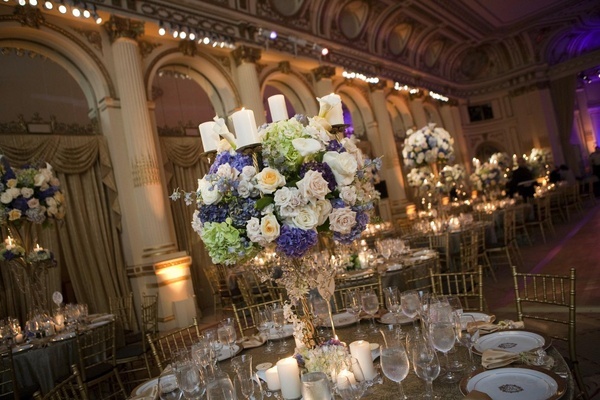 Warm lighting highlighted each tulip-shaped pillar, and luxe cushioned chairs provided comfortable seating. 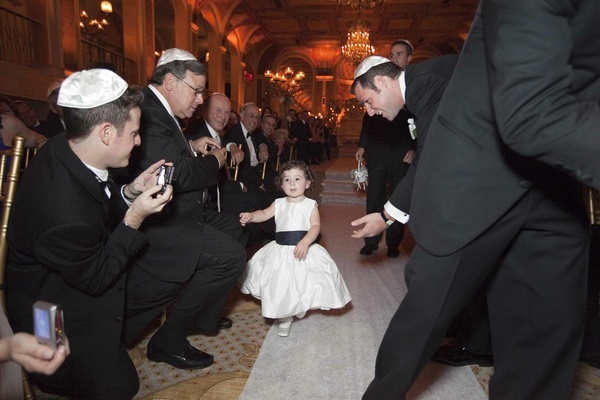 Robyn and Andrew elected to have a traditional Jewish service for their ceremony. 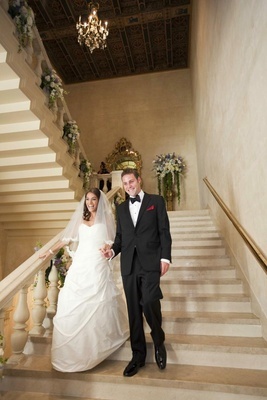 Despite being an hour late for pre-ceremony photos, Robyn appeared graceful and gorgeous as she made her way down the aisle in a stunning strapless A-line gown. 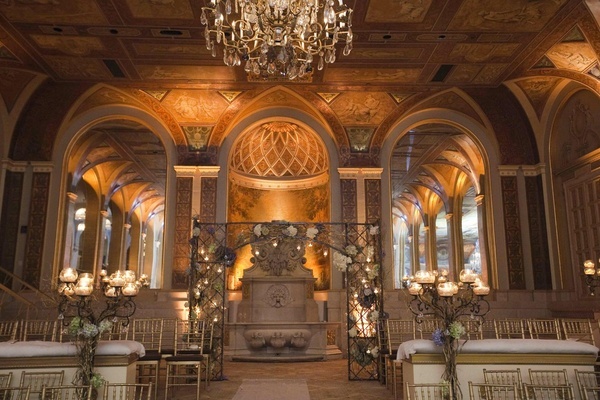 Guests filed into a spectacular reception area hosted in the Grand Ballroom of the hotel. 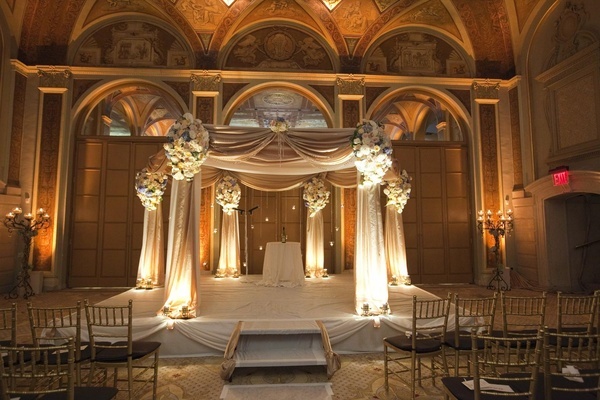 Elaborate light fixtures hung overhead, luxurious curtains framed magnificent doorways, and striking hand painted details lined the vaulted ceiling. 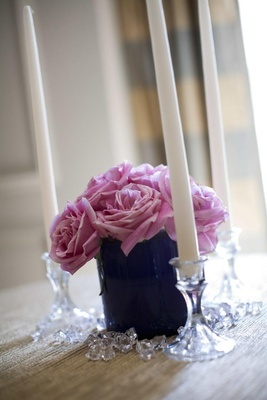 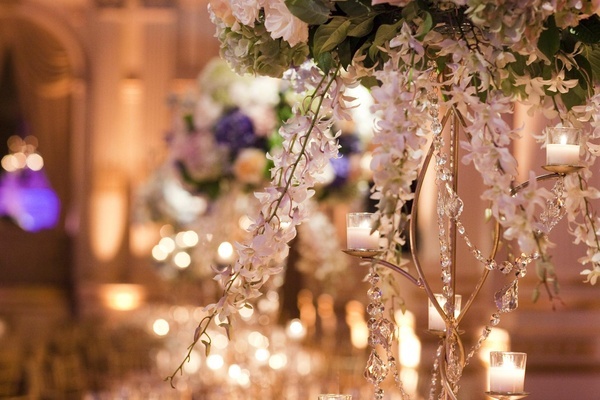 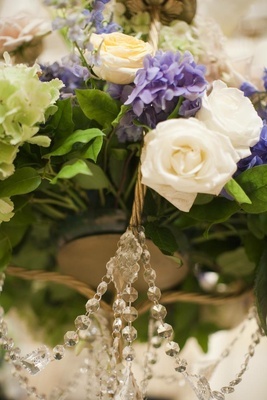 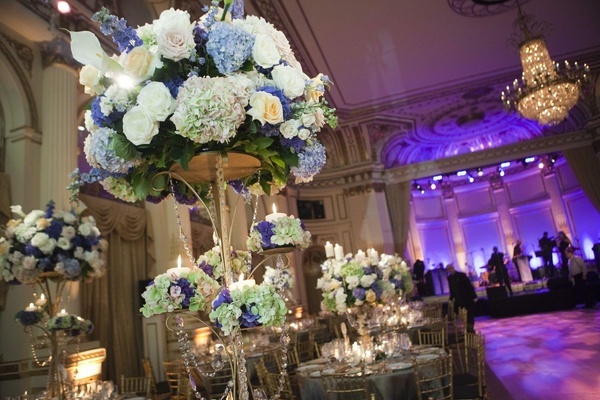 Candelabras of varying heights festooned with lush arrangements of blue and crème hydrangeas, orchids, and roses served as centerpieces. 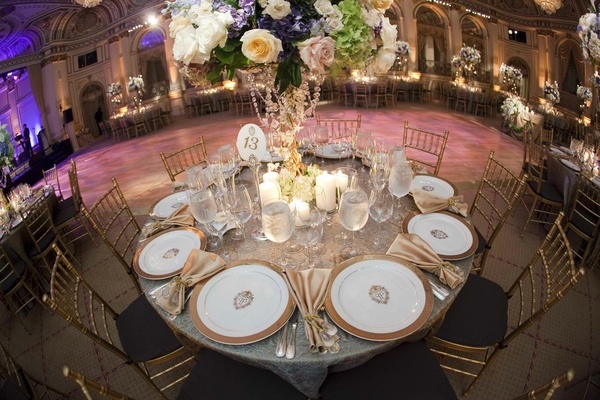 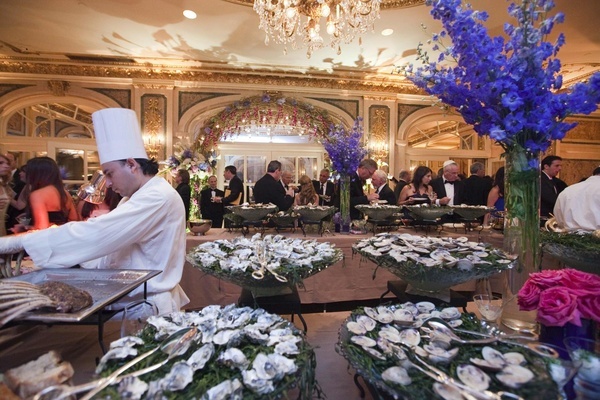 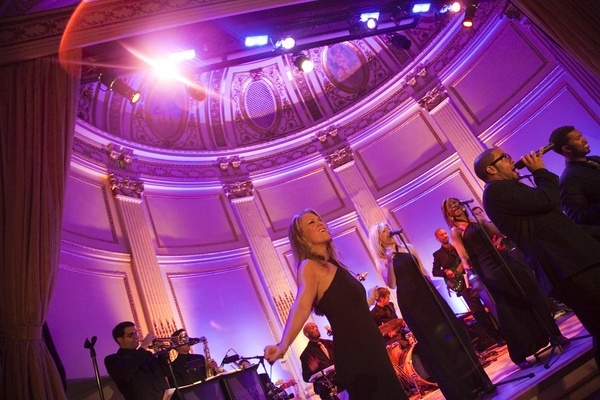 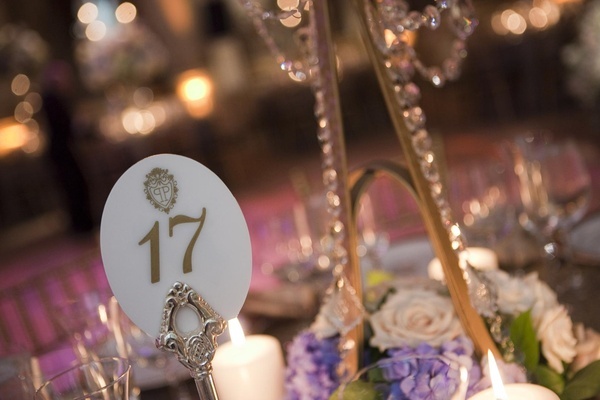 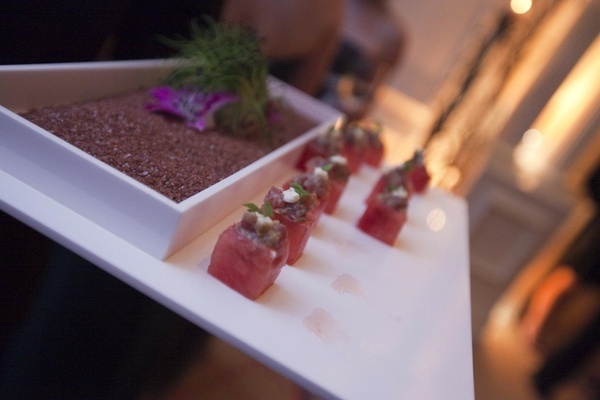 With an amazing dinner service of filet or wild striped bass with corn brulée and slices of the six-tiered wedding cake, guests were energized for an evening of dancing to the lively band. 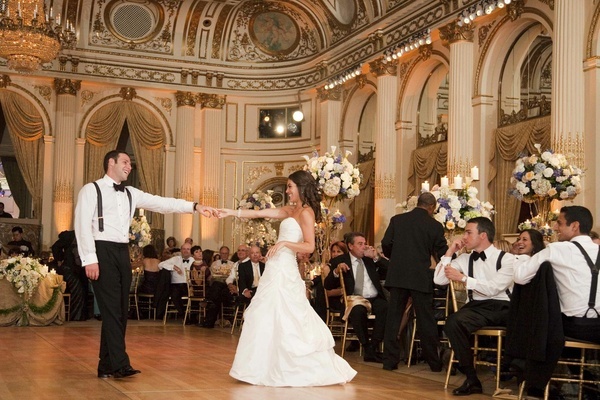 “The entire night was filled with such love, such warmth, and so many smiles – everyone had an amazing time!” describes the bride of her big day.